Poor air quality is the greatest environmental risk to public health in the UK, according to the Department for Environment, Food & Rural Affairs (DEFRA). 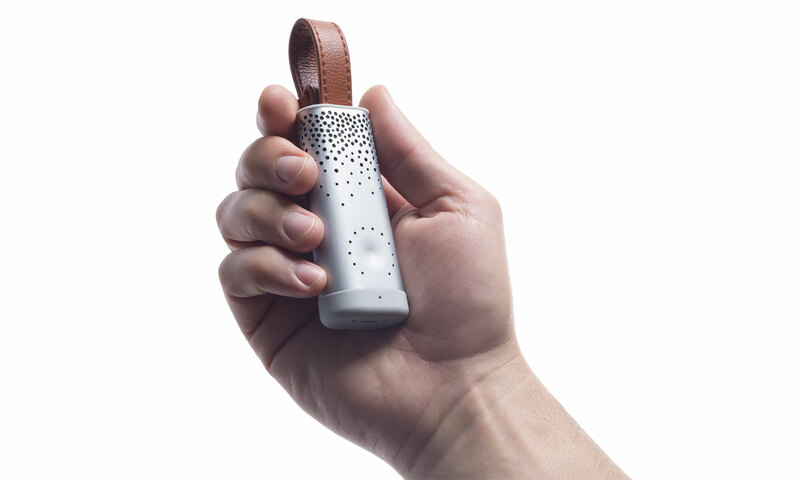 Could a personal air quality tracker help you limit your exposure to pollutants? Air pollution kills seven million people worldwide each year, the World Health Organisation (WHO) estimates. Domestic, EU and international environmental legislation has led to significant progress in the UK over the past 70 years, meaning that concentrations of many pollutants are the lowest they have been since official measurements began. Nevertheless, safe pollution limits are often breached in big cities. Each year, thousands of people in London alone die prematurely from long-term exposure to air pollution. It’s not just outdoor air pollution that’s a problem. 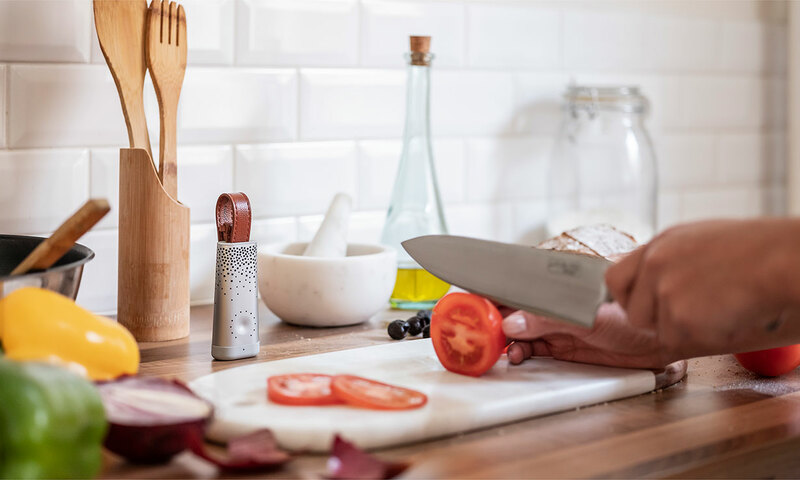 Within the home, many of our everyday, seemingly harmless activities can increase our personal exposure to pollutants and contribute to our national emissions. That’s why we’ve been trying out Flow. 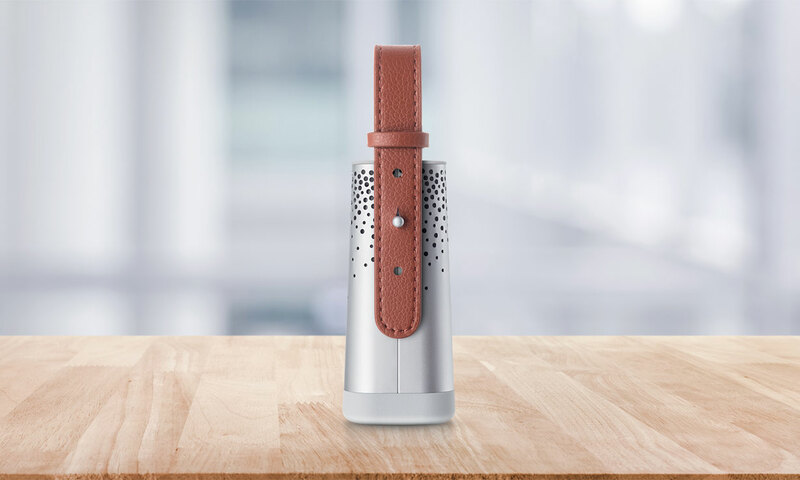 Flow is a smart mobile air quality tracker that’s designed to help you make lifestyle changes so you can breathe cleaner air. Read on to find out how Flow works and what we made of it. One of the ways you can manage the quality of air you breathe in your home is by investing in an air purifier. But they can be expensive, so you’ll want to make sure you buy one that works. We reveal the best air purifiers. It’s tiny (125mm height x 40mm width x 35mm depth), compared with other air quality sensors, and lightweight (a mere 70g). This means you can take it out and about with you. It uses your smartphone’s location services to map your route across the day. Flow’s been developed by Plume Labs, an environmental tech company whose mission is to make environmental information accessible to ordinary people. The outer shell is polished steel, and the strap is non-animal leather. Flow is currently available in the UK, Europe and the US. Plume says it’s aiming to roll it out worldwide. Air enters Flow through holes and passes through a little fan. Flow shoots a laser beam at this air. When it hits particulate matter, light is dispersed and the device twinkles (as pictured, below), giving you a general indication of how polluted the air is at that moment – green means low pollution; yellow is medium; red, polluted; and purple, very polluted. You can then open your app to review your data in more detail. Based on this data, you can make lifestyle choices – cutting through a park or walking down a side street on a regular morning walk, for example. You might be surprised by how dramatically the air you breathe can change from one street to the next. Also, how it can change depending on the time of day. You’ll need GPS and Bluetooth activated on your phone, and the Flow app will need to be open in the background. What’s Flow like to use? At Which?, we’ve been concerned about air pollution for a long time. So we were super-excited to get our hands on Flow and try it out for a couple of weeks. Flow was easy to set up. You just download the app from Google Play or the Apple app store (we tried out the Android version), create an account and follow the steps to connect Flow with your phone. Be aware that it can take roughly seven days for Flow to ‘burn in’ after you set it up, so its readings – particularly NO2 (Nitrous Oxide) – might not be accurate during this time. If you’re getting weird, unexpected readings for much longer than seven days, contact Plume. Our first Flow malfunctioned, but its replacement seemed to work well. Flow clips easily onto a belt, rucksack or bike. 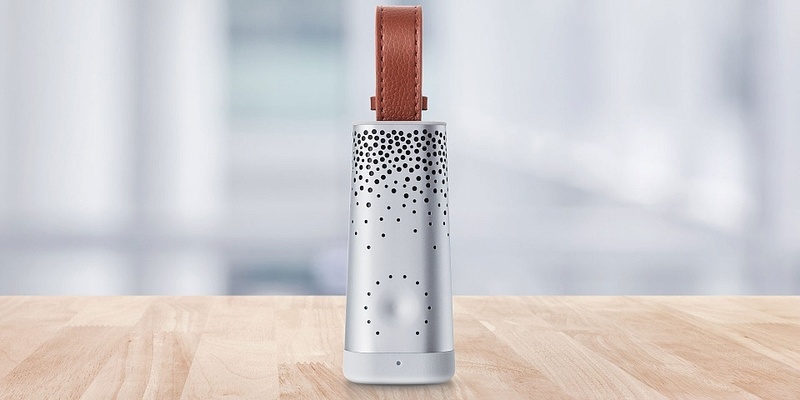 It’s a cool-looking gadget – the faux-leather strap looks premium, and Flow itself looks like a mini speaker. Using Flow is also surprisingly fun: pressing Flow and watching it twinkling away becomes oddly addictive, even soothing. The app presents data in a simple format of maps and graphs (time vs pollutant levels). When you slide your finger along the graph, the map shows where you were at that time. You can then see what pollutants you came into contact with, and in what concentrations. If you live or work in a city, it’s easy to assume that exposure to pollution is just inevitable. So being able to drill down into the data is pretty interesting – and could inspire people to make personal lifestyle changes. Other data did surprise (and worry) us: NO2 levels near a primary school, for example. What else do you need to know about Flow? The maps feature isn’t as useful on Android as we’d hoped it would be (we haven’t yet tested it on iOS), as large sections of the day were missing. One day, one of our testers left Flow in the kitchen and went for a walk, and the app displayed the air quality data it had collected in the kitchen as if it related to the walk. Another drawback is the short battery life. You’ll need to charge it every day, which becomes a bit of a chore when you’ve also got a phone and potentially a smartwatch to charge every day as well. Plume is upfront about the 24-hour battery life, so this shouldn’t come as a surprise. But, life being busy, it would be good to have a low-battery notification. We recommend setting a reminder on your phone. Plume also tells you not to expose Flow to bright sunlight or get it wet – which is tricky, considering it’s designed to get as much air as possible, and not be stuffed into a pocket or the bottom of a bag. It’s also, if we’re being honest, pretty hard to make lifestyle changes – such as changing your commute when you’re rushing to work. You also need to invest time opening the app frequently, as, according to Plume, the more you do this, the more accurately Flow works. Plume also plans to use the data Flow collects to improve its environmental AI platform, accessible through the Plume app. This is distinct from the Flow companion app, and worked well when we tried it on Android. This app (pictured below) already predicts pollution levels across cities in 60 countries. It gives you an indicator of how safe it is to carry out activities such as exercising and dining outdoors. 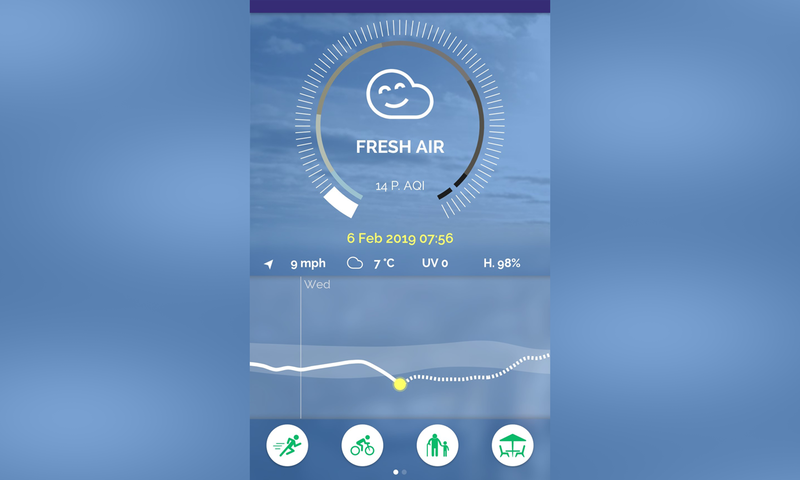 This app relies on a mixture of real-time air quality measurements, taken from 12,000 monitoring stations, and global atmospheric, urban and weather data. The more accurate Plume believes the forecast to be on any given day, the higher the percentage figure on your screen. Plume wants to use Flow to gather even more detailed, accurate data. Plume says that the data in your app is ‘scrubbed of any personal information’ before being transferred to its platform. On the whole, we’re big fans. It’s a nifty concept, and we hope this will get more and more people thinking about pollution. Flow did actually inspire one Which? staffer to start cycling more and limit their time on the tube. This device is going to be most useful to people who are really interested in air pollution and prepared to invest the time in using it properly. If you’re realistically only going to remember to use it once or twice a week, you’re not going to get much out of it. 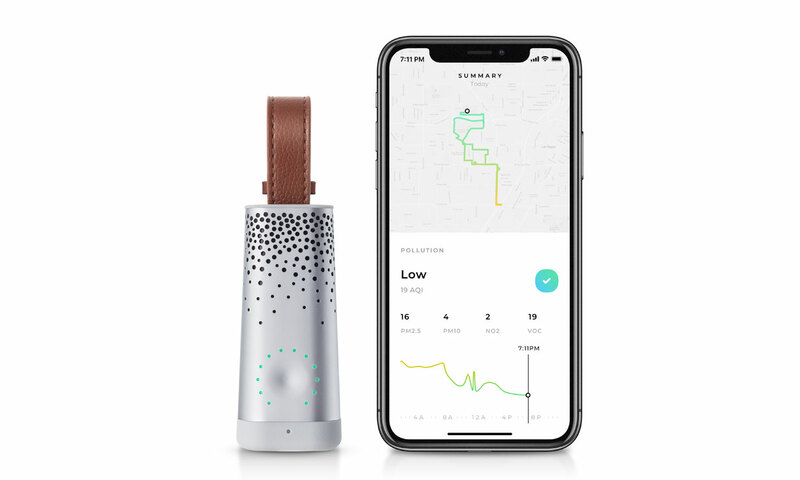 Once you know where the air quality in your daily routine is worst, and you have enough information to make a change, Flow’s usefulness for your personal routine decreases. Of course, you could make these changes anyway – avoiding main roads and other polluted areas without having to shell out £159. But that initial £159 outlay may seem worth it if having access to the data is going to be what it takes to make a difference to your longer-term exposure to pollutants. 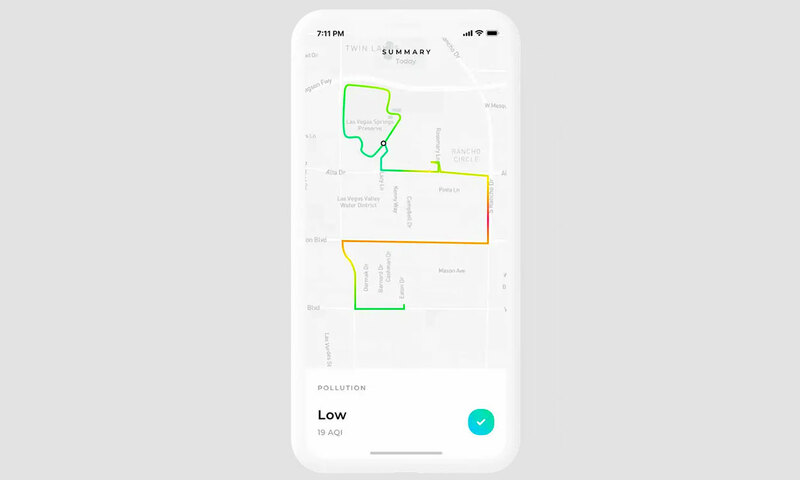 And, if you use Flow, you aren’t simply gathering data that can help you make a positive change to your personal routine – you’re also helping Plume build a more accurate picture of the pollution in your city. Is Flow an immediate solution to an enormous problem? No, and it’s not intended to be. As Plume says itself, its aim is to move the conversation forward. What pollutants does Flow measure? Flow measures particulate matter (PM2.5 and PM10), nitrogen dioxide (NO2) and volatile organic compounds (VOCs). Particulate Matter (PM) are solid particles smaller than 10 microns (PM10) and 2.5 microns (PM2.5) in diameter. They come from traffic, from energy transformation and from natural phenomenons such as volcanic eruptions and sand on windy beaches. The PM concentration in the air is higher when it’s very cold and there’s no wind to disperse the particles. They’re a risk factor for lung cancer and cardiovascular and respiratory diseases, as PM can penetrate your airways and lungs. NO2 has a red-brown color and strong smell. It comes from traffic, heating and electricity generation. It can cause bronchitis, asthma and other lung problems, especially in children. These molecules, made mainly of carbon, can spread a long way from their source. Their many sources include traffic, industries, vegetation and cleaning and DIY products. They can cause breathing issues, and some are carcinogenic. How else can I reduce my exposure to pollution? If you have a wood-burning stove or fire, burn only untreated, fully-dried wood. Make sure the flue damper is open before you use it. Here’s what you need to know about wood-burning stoves and pollution. You could also consider buying an air purifier. However, as they range from £50 to £700, you need to choose wisely to make sure you’re getting value for money. Head to our guide on buying the best air purifier to find out more. You can also buy a low-polluting car. Which? measures emissions from every car we test and penalises the dirtiest models. If cars produce excessive emissions in our stringent tests, they can’t be Best Buys. Find out more about the dirtiest and cleanest cars.